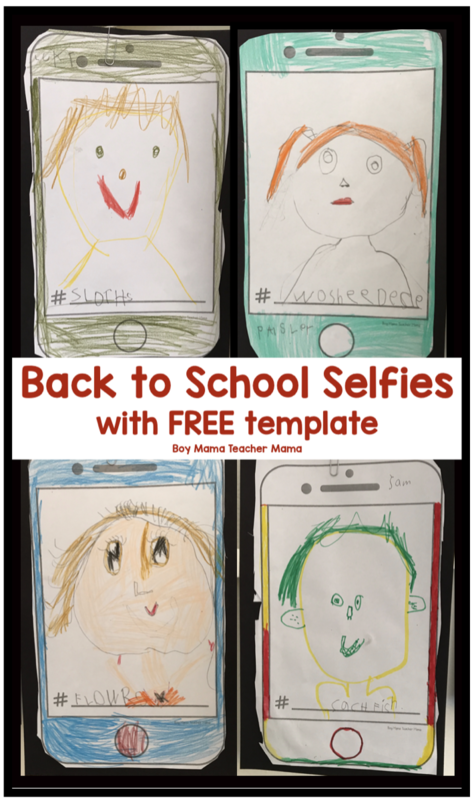 Selfies are all the rage these days and since our little ones don’t have phones of their owns, with this activity, they get to create their own selfie to start off the school year! Using the template, have students draw a picture of themselves. This is also a great way to look at student’s fine motor skills, their handwriting and their spelling. After they have drawn the picture, they get to add a hashtag. We talked about the meaning of a hashtag and how they worked first. Most of my students chose to hashtag something they love or enjoy doing. 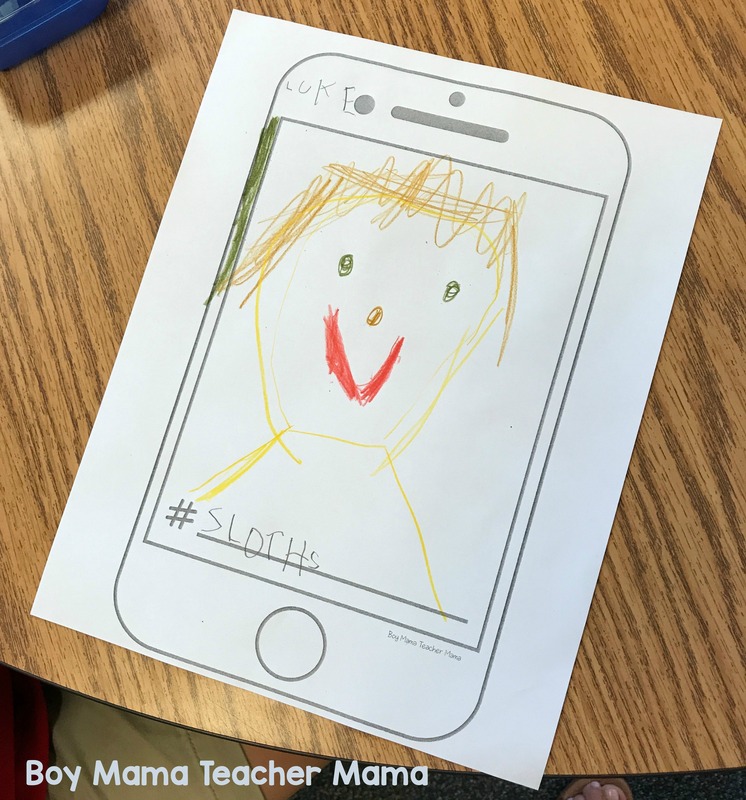 In the image below, the students wrote “#sloths” because they are his favorite animal. We then had the students color the phone, cut it out and we mounted them on black paper for display. Finally, we hung all the selfies in the hall, added some I can statements and some of our own hashtags as well. I loved doing this activity with my first graders last year and can’t wait to do it again this year! If this is your first time visiting Boy Mama Teacher Mama, welcome! Did you know that you can also find us on Facebook and Pinterest? Stop by to see what is happening!